1.1.4 "Content" refers to everything which in any way adds to the structure or build of a website, including without limitation any/all website designs/layouts, imagery, graphics, flash animation, scripts, programming, software, text/information and any downloadable files available via such websites. 2.1 By visiting and/or using this website or any of acuteFX Design's WEBSITES (including but not limited to viewing, downloading from, linking to and hot-linking from), you signify your assent to our terms and conditions displayed on this page and to be bound by these terms while visiting any of acuteFX Design's WEBSITES. You re-affirm this acceptance every time you visit or use any of acuteFX Design's WEBSITES thereafter. You signify your assent to these Terms whenever you hire acuteFX Design Ltd. for a design, hosting, SEO or miscellaneous service. You signify your assent these Terms whenever you accept an invoice for said service. 2.1.1 IF YOU DO NOT AGREE TO THE TERMS AND CONDITIONS ON THIS PAGE PLEASE LEAVE THE ACUTEFX DESIGN WEBSITE. 3.1 You should assume that everything you view, read or download from this website or any of acuteFX Design's WEBSITES is copyrighted. 3.1.1 All website designs, builds and concepts, as well as all Content created by acuteFX Design are/is copyrighted and may not be copied, reproduced or redistributed for commercial or financial gain in any way without acuteFX Design’s prior written authorisation or unless otherwise stated. 3.2 No website programming or software made available by acuteFX Design's WEBSITES which has been created by acuteFX Design may be reverse engineered or decompiled for commercial or financial gain. All programming and software developed for such websites is copyrighted and may not be copied, reproduced or redistributed in anyway. 3.3 You MAY make single copies of files made available via acuteFX Design's WEBSITES for personal, non-profitable use as long as the reason to do so complies with points 3.2 and 4.1. 3.4 acuteFX Design may use Photoshop brushes made available from sites such as deviantART, Brusheezy and PSbrushes (as well as others) and does in no way claim to have created these brushes. Full credit goes to the author / artist for creating and sharing these brushes. If you feel your copyrights have been compromised regarding any Photoshop brushes used by acuteFX Design please contact us. 3.5 acuteFX Design may use stock imagery within website designs. These images are taken from free and paid stock imagery websites (primarily Stock.XCHNG) and credit for the original image goes to the artist / photographer for providing these images. Where needed, a link to the photographer will be shown. If you feel your copyrights have been compromised regarding acuteFX Design's use of stock imagery please contact us and include a link to the image in question. 4.1 You will not in any way (or attempt to) reverse engineer or decompile any programming or software created by acuteFX Design to try and change or alter in anyway the function of any of acuteFX Design's WEBSITES. 4.2 You will not in any way alter or attempt to alter the make-up (including template, images, text and software) of any of acuteFX Design's WEBSITES. 4.3 You will not in any way access or attempt to access areas of acutefx-design.com or acuteFX Design's WEBSITES which need registered accounts, passwords or any other form of electronic validation without such authorisation. 4.4 Failure to follow the rulings in points 4.1, 4.2 and 4.3 will instantly result in an IP address banning from all websites made available by acuteFX Design as well as your IP address reported to your ISP. 5.1 acuteFX Design shall use reasonable endeavours to make sure the server and the hosting services available to the customer are available 100% of the time, but because the hosting services are provided by means of computer and telecommunications systems, acuteFX Design makes no warranties or representations that the hosting service will be uninterrupted or error-free and acuteFX Design shall not, in any event, be liable for interruptions of service or downtime of the server. 5.2.8 operate or attempt to operate IRC bots or other permanent server processes. 5.3 The customer has full responsibility for the Content of their website. For the avoidance of doubt, acuteFX Design is not obliged to monitor, and will have no liability for, the Content of any communications transmitted by virtue of the hosting services. 5.4 If a hosting customer fails to comply with the Acceptable Use Policy outlined in point 5.2 acuteFX Design shall be entitled to withdraw the hosting services and terminate the customer's account without notice. 5.5 Should your account use more than 5% of the servers processing power and as a result have a detrimental effect on other customers, we will discuss with you alternative solutions for your hosting requirements. 5.6 acuteFX Design does not allow proxy sites of any nature, file/image hosting or any other form of file-sharing website to be hosted on its network. 6.1 acuteFX Design Ltd's current payment methods are either through PayPal (which accept MasterCard, Visa, Maestro, Solo, Visa Electron, American Express and direct debits), cheque or via bank transfer. 6.1.1 acuteFX Design does not accept postal orders, cash or any other form of payment other than those outlined in 6.1. 6.2 All charges and quotes are exclusive of VAT. acuteFX Design is not a VAT registered company and does not charge Value Added Tax. 6.3 acuteFX Design does not provide any credit facilities. 6.4 acuteFX Design does not provide any money back guarantees on any products or services, if you are unsatisfied in anyway with a product or service made available by acuteFX Design please request support via the contact us page. This does not change your statutory rights. 6.5 acuteFX Design may request a 5-30% deposit payment on large projects or projects that will have a long development time. 6.6 acuteFX Design may request a 50-100% deposit payment from clients who have previously missed their 30-day payment period. 6.7 acuteFX Design charges a fixed monthly 10% penalty charge for payments made after the set 30-day payment period. 6.8 Any Hosting account holders that do not pay their invoice within the set 30-day payment period may result in their account being suspended. Any account that has been suspended will incur a £50 charge to reactivate the account or release the domain(s). 6.9 acuteFX Design offers free monthly updates to all clients that own websites that have either been designed by or maintained by acuteFX Design. All work must be able to be of a "simple nature" to class as a free update. As there is no set time limit to free updates, acuteFX Design will determine whether an update warrants payment or not. 7.1 acuteFX Design excludes all liability (other than those caused by its negligence) in relation to the any Content made available by acuteFX Design's WEBSITES. 7.2 acuteFX Design makes no claims or representations that any / all content made available by acuteFX Design's WEBSITES may be viewed or downloaded outside of United Kingdom. Access to such materials may not be legal in certain countries. If you choose to access the websites made available by acuteFX Design from outside the United Kingdom, you do so at your own risk and are responsible for compliance with the laws of that country. 7.3 acuteFX Design's WEBSITES may link to third party websites. Links to such websites show no endorsement or consent by acuteFX Design for any products or information provided via such websites. acuteFX Design is not in anyway liable for any malicious software or coding available via third party websites which may damage or corrupt computer systems or networks. 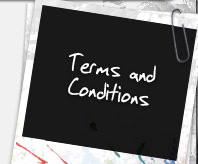 If you have any questions regarding the Terms & Conditions on this page please contact us.